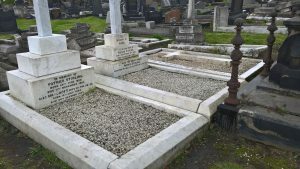 Although the graves of Patrick Stirling and his sons were restored in 2015, they had started to look a little untidy due to weeds growing through the marble chippings. 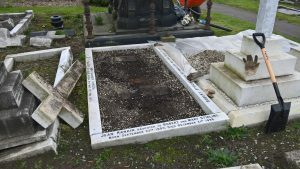 At yesterday’s Working Morning, Nigel and Richard removed the chippings, riddled them, weeded the graves and laid a membrane of weed control fabric, before replacing the chippings. 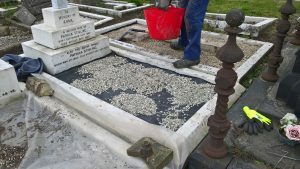 We shall add more chippings in the near future.